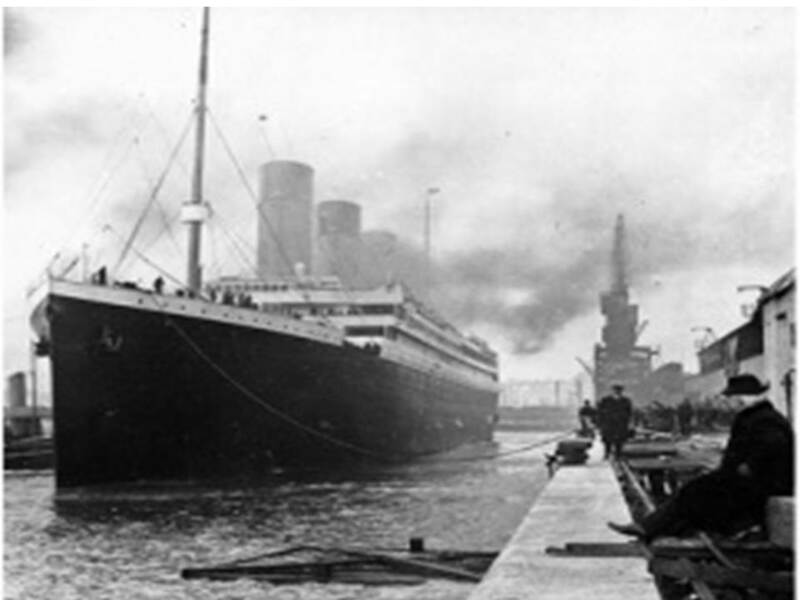 From its launching on May 31, 1911, until it slipped under the North Atlantic waves during its maiden voyage on April 15, 1912, the RMS Titanic’s size and technological charisma overshadowed the other news events of its day. Newspapers announced its sinking with screaming black headlines, printed lengthy lists of survivors, featured stories about the passengers who perished, especially the wealthy and famous, and inadvertently revealed some of the prejudices and fissures in the society around them, especially feelings about suffrage and the place of women in society. The Titanic overshadowed the news of troubles between the United States and Mexico that the Oakland Tribune reported with the headline “War with Mexico Near.” It also reported the stories headlined “Bloodshed is Feared in Chicago,” and “Bombs Explode Wrecking New York Store.” The same day that the Titanic hit the iceberg, April 14, 1912, the Washington Post reported that Julia Lathrop of Chicago, an associate in the work of Jane Addams at Hull House, a member of the Illinois Board of Charities, and a graduate and trustee of Vassar College was appointed by President Taft as Chief of the New Children’s Bureau in the Department of Commerce and Labor. Miss Lathrop was the first woman to be made a bureau chief under the government. Most newspapers reported the death of Clara Barton who died on April 13, 1912. Clara Barton is best known for her work as a teacher, humanitarian, and founder of the Red Cross, but she also ardently supported suffrage. A friend of Susan B. Anthony, Clara Barton spoke at many suffrage conventions, including the first National Women’s Suffrage Convention in 1869 in Washington D.C. She also attended the National American Woman Suffrage Association (NAWSA) Conventions in 1893, 1902, 1904, and 1906. In 1909, she served on an honorary Advisory Committee of the National Committee on the Petition to Congress for woman suffrage. In the years she couldn’t attend the women’s rights conventions, she sent letters of support which the organizers read to the audience. Helen Churchill Candee of Lifeboat Number 6, had many talents. After spending her childhood in Connecticut, she married Edward Candee of Norwalk and they had two children, Edith and Harold. An abusive husband, Edward Candee finally abandoned his family and Helen supported herself and her children by writing for magazines like Scribner’s and The Ladies’ Home Journal. Initially Helen Candee wrote about etiquette and household management, but she expanded her repertoire to include child care, education, Oklahoma Territory, and women’s rights. Her first book, How Women May Earn a Living, a best seller, established her credentials as a strong feminist and her second book, An Oklahoma Romance., a novel about Oklahoma brought her national recognition and Oklahoma Territory promising possibilities for settlement and statehood. After moving to Washington D.C., Helen Candee became one of the first professional interior decorators, with a clientele that included Secretary of War Henry Stimson, President Theodore Roosevelt, William Jennings Bryan and First Lady Helen Herron Taft. Helen Candee maintained a long term friendship with the first lady despite the clash of her liberal views with ultra-conservative Helen Taft. Helen Candee publicly supported the Washington chapter of the National Woman Suffrage Association and helped plan its meetings and rallies. She developed a love of traveling and during a trip to Italy she received word that her son Harry had been injured in an accident. She quickly booked a passage on the Titanic to return home. While getting into Lifeboat 6, Helen slipped and fell and broke her ankle, a fracture severe enough for her to spend the next year walking with a cane. The broken ankle didn’t stop Helen from joining the Votes for Women march down Pennsylvania Avenue to Capitol Hill in March 1913. Suffragettes Mrs. Edith Martha Bowerman Chibnall and her daughter Elsie Bowerman were also occupants of Lifeboat 6. They were both members of the Women’s Social and Political Union and they had been involved in two protests in Parliament Square in London in 1910 when police and Suffragettes had clashed violently and the police had made many arrests. Edith had been injured during the second protest and her husband had left her because of her involvement with the suffragettes. Elsie recovered from her Titanic experience and eventually became the first female barrister at the Old Bailey. Perhaps Margaret Brown is the best known occupant of Titanic Lifeboat 6. Born Margaret Tobin in Hannibal Missouri on July 18, 1867, at age 18 Margaret moved to Leadville, Colorado with her sister and took a job in a department store. She married James Joseph Brown, who Margaret called J.J., an ambitious, self-educated man on September 1, 1886, and the Browns eventually had two children. Margaret noted that she had married a poor man for love instead of being dazzled by a rich man’s money, but the Brown family became very wealthy when J.J.’s engineering efforts were pivotal in producing a substantial ore seam at the Little Jonny Mine which his employer, the Ibex Mining Company owned. The Ibex Mining Company gave J.J. 12,500 shares of stock and a seat on the board. In Leadville, Margaret initially became involved in women’s suffrage and she helped to create the Colorado chapter of the National American Woman Suffrage Association. The Browns moved to Denver in 1894, and Margaret became a charter member of the Denver Woman’s Club and guided it in its mission of improving women’s lives by continuing education and philanthropy. Margaret became a society lady, learned about the arts and became fluent in French, German, and Russian. After 23 years of marriage, Margaret and J.J. separated in 1909, and Margaret received a house and allowance to continue her travels and social work. As the Titanic sank, Margaret helped others board the lifeboats and finally a crewman picked her up bodily and threw her into Lifeboat 6. Journalists later writing the Titanic’s story daubed her the “Unsinkable Molly Brown” because she operated the tiller in Lifeboat No. 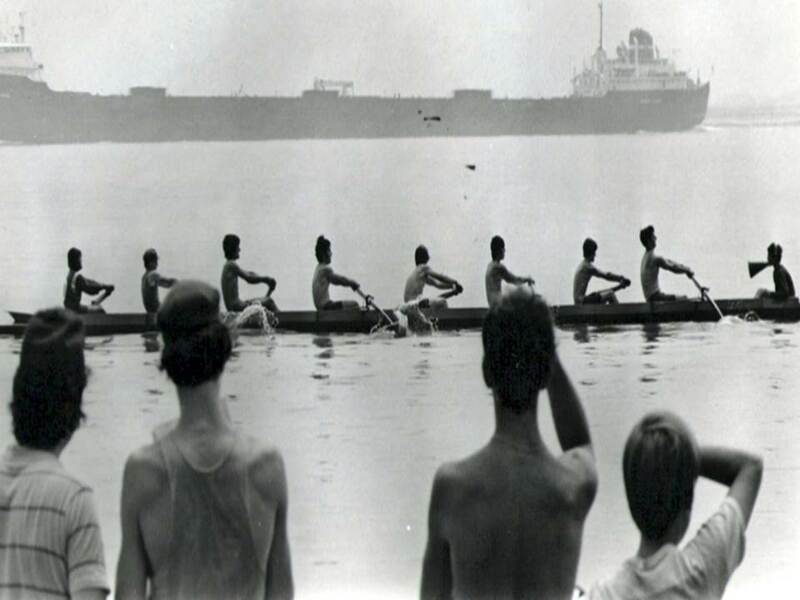 6 and over the protests of Quartermaster Robert Hitchens, the crewman in charge of the boat, she convinced the women beside her to row, arguing that it would keep them warm even though it was strictly against social etiquette. She also tried to convince Quartermaster Hitchens to turn around and search for more survivors. In the 1997 movie Titanic, Margaret Brown is shown urging the Quartermaster to return to look for survivors, but it did not validate her as the reason for the return. In fact, the scene shows the Quartermaster telling Margaret in no uncertain terms to be quiet. Despite the efforts of the Titanic crew, not all of the women on the Titanic were saved. Four first class women passengers died, thirteen second class women, and 89 third class women passengers perished. Some women chose to stay with their husbands. Ida Straus, wife of department store millionaire Isadore Straus said, “I have lived with him for 50 years – I won’t leave him now,” and she sat in a deck chair beside her husband as the Titanic settled into the Atlantic. After that frigid April Monday morning when the Titanic slipped beneath the waves taking 1,502 people with it, the Birkenhead Drill rule of the sea that had also seemed unsinkable, began to founder. The loss of the Titanic affected two important civil rights movements in the America of 1912, the woman’s suffrage movement and the black civil rights movement. The 1912 American feminists and suffragettes argued that male protection came with the heavy price of disenfranchisement and loss of female integrity and autonomy. It took courage to advocate this view and when the Titanic sank, feminists had to consider another perspective of full equality. Did full equality mean equal risking of life with men in dangerous times and how could female emancipation and the Birkenhead Drill be reconciled? The New York Times stirred up controversy on April 21, 1912 when it reported a story from London, England, headlined “Suffragettes Deny Chivalry on the Titanic.” A reporter asked Sylvia Pankhurst, a militant suffragette, that if chivalry was really dead as the suffragettes claimed why were so many women on the Titanic saved? She answered that she did not want to detract from the gallantry that the men of the Titanic had displayed, but the universal rule of the sea was that women and children would be saved and the Titanic was not so the only ship to follow this rule, so the men of the Titanic had not displayed exceptional gallantry. Although other suffragettes agreed with Sylvia Pankhurst, her comments caused a backlash and the London Daily Mail collected $35,000 to aid the victims of the Titanic and their families, with Queen Alexandra, four princesses, and several American society women contributing. Titanic survivors chose Margaret Brown to represent them in presenting Captain Arthur Rostron of the Carpathia with a loving cup to thank him for his rescue. The Unsinkable Molly Brown ran for the United States Senate, and she successfully merged her public speaking talents with her Titanic experiences. She acted according to her independent, suffragette personality when she helped row Lifeboat No. 6, but she did not attribute her survival to the “women and children first” maritime mantra of the time. In fact, she addressed the issue of women’s equality more directly than any of her fellow suffragettes. Beginning with acknowledging the real gallantry shown by the men who died on Titanic, and that chivalry motivated them, Molly Brown then expanded her remarks into new horizons. She said that the Birkenhead Drill was ‘tragically immoral’ and that men shouldn’t be expected to die like that. It should, she maintained, never have been required by law or custom. Molly Brown transformed the issues of chivalry and women’s suffrage and feminism from gender into human rights far ahead of her suffragette beliefs and her historical era. The Titanic had barely settled into her watery grave, when Harriet Quimby became the first woman pilot to cross the English Channel on April 16, 1912. Women rights and human rights progressed in the 73 years from the sinking of the Titanic on April 15, 1912, to its discovery on September 1, 1985. American women won the right to vote in 1920 and women in the United Kingdom between 1918 and 1928. Twentieth and Twenty first century humanity reverberated with the cultural shocks of two world wars and the nuclear and technological eras as 1912 society had reverberated with the sinking of the Titanic and end of the age of innocence, belief in unfettered progress, and invulnerable human invention. Controversy still swirls around the Titanic, even at her 13,000 feet depth. On September 9, 1985, Dr. Robert Ballard, leader of the expedition that discovered her, said, “The Titanic itself lies in 13,000 feet of water on a gently sloping alpine-like countryside overlooking a small canyon below. Its bow faces north and the ship sits upright on the bottom. Its mighty stacks point upward. . . . It is quiet and peaceful and a fitting place for the remains of this greatest of sea tragedies to rest. May it forever remain that way and may God bless these found souls“. The Titanic has not been allowed to rest. Since Dr. Robert Ballard and his expedition discovered her resting place, salvage companies and private individuals have visited her. One company has retrieved hundreds of artifacts which have been displayed around the world to crowds of people. Dr. Ballard thinks that the fragile Titanic is in danger of being destroyed by modern salvage equipment and treasure hunters and he believes that the resting place of the Titanic is a graveyard that should be honored as such. The ending of the 1997 movie Titanic shows an aged Rose dying and returning to the intact 1912 Titanic and all of the people involved in her story, including Jack. Although Rose was a feminist in her own right, refusing to settle for the life her mother had planned for her and choosing not to stay with an abusive man, she is a fictional character. Helen Candee , Molly Brown, and the rest of the suffragettes who realized that women’s right to vote and be independent persons meant human rights for everyone were real people who were fortunate enough to survive the sinking of the Titanic. Can’t those who rest with the Titanic have the right to a grave undisturbed by the sounds of salvage operations and treasure hunting submarines? Titanic Survivor: Life Boat No. 6 Helen Churchill Candee- In Memory of Titanic Survivor in the 100th Titanic Anniversary 2012(100th Anniversary Titanic Series) Kindle Edition. Pierre Beaumont, author; Helen Churchill Candee, author. Helen Churchill Candee, “Sealed Orders,” Collier’s Weekly, May 4, 1912. Iverson, Kirsten. Molly Brown: Unraveling the Myth. Johnson Books, 2011. Lord, Walter. A Night to Remember. Macmillan, 2005. Oates, Stephen. Woman of Valor: Clara Barton and the Civil War. Free Press, 1995. Wade, Wyn Craig Wade. The Titanic: End of a Dream. Penguin, 1992.